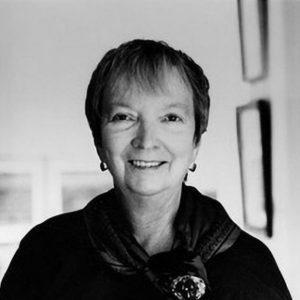 Madeline L’Engle, author of A Wrinkle in Time. Writing can be frustrating – even for the talented. 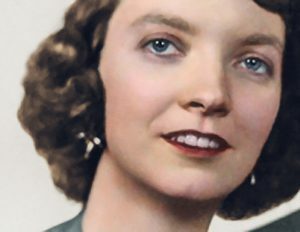 In a moment of dramatic renunciation of her craft after multiple rejections of her manuscript, Madeleine L’Engle covered her typewriter. Very quickly she realized that, in spite of this gesture, her mind had already started planning a novel about failure. It was this discovery that made her realize she had no choice but to write, that she was called to it by a power greater than herself. 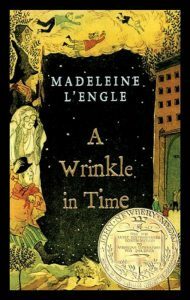 L’Engle would go on to write and publish over forty-five books including the best-selling children’s fantasy, A Wrinkle in Time – a novel for young readers loaded with deep spiritual messages. To understand the novelist’s legacy, writes Sarah Arthur in her biography on L’Engle, A Light So Lovely, it is necessary to delve into her spiritual formation as well as her formation as a person. Though not an unwanted child, she never quite fit into the routine of her parents’ lives. As they busied themselves with operas and plays, L’Engle (1918-2007) spent most of her days with only her Irish-Catholic housekeeper, Mary O’Connell, for company. 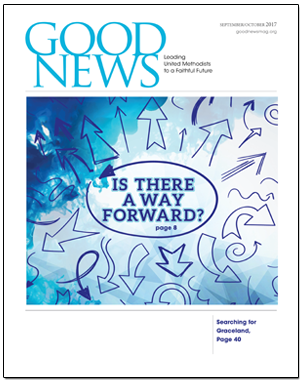 Writing sustained her through a few miserable years at an Anglican boarding school in Switzerland – where her parents dropped her off without warning – and eventually became her longed-for profession. This drove her first to German theologians – who she claimed put her to sleep – then finally to Albert Einstein. She read his writings ravenously and continuously, even on family vacations. Eventually, her fast developing obsession with this theoretical physicist’s work became a turning point in her spiritual journey. This might appear somewhat non-sequitur, says Arthur, but reading Einstein and others opened L’Engle’s eyes, revealed to her that Christianity was a faith worth claiming. She could now conceive of a world in which a loving God who not only kept track of every particle in the universe, but also cared about our little planet enough to become one of us. These themes thread all throughout her novels, particularly her most famous work, A Wrinkle in Time. And yet, L’Engle faced critics on both sides of the spectrum. The secular community resisted her Christianity, while Christian fundamentalists — who she called “fundalits” — fought to ban her books from libraries across the country. Like The Chronicles of Narnia and Lord of the Rings before it, Winkle was viewed with suspicion due to its genre. Claiming that L’Engle’s angelic protagonists were witches, these “fundalits” condemned Wrinkle as fictional poison for children. They even attempted to ban her books from libraries, schools, and churches by launching salacious allegations of untoward innuendo in the scenes where Meg and her fellow characters travel to other planets. L’Engle also refused to allow the censure from either the secular or Christian community to direct her literary path. Unwilling to believe in the false dichotomy of the sacred and secular within art, she continued to write books, to talk unashamedly about Christ. Like C.S. Lewis, she acted as an apologist who sought to explain the plausibility of Christian faith to skeptics. Arthur wisely devotes time not only to the lovely elements of L’Engle’s life, but also the lowly. Often blurring the line between fact and fiction, L’Engle weaved her own family into stories and, on occasion, hurt them in the process. Inspired by her youngest son Bion as a child, she created a character and a set of expectations from which he never could shake free. This blinded her to his fight with alcoholism and, though she was with him as he was dying of liver failure, they never truly reconciled. Far from perfect, L’Engle served as a storytelling icon, not meant to be worshiped, but to point to the one who we ought to worship. We tell stories because our creator is the great story-teller, because our savior clothes heavenly truths in story. L’Engle understood this deeply. L’Engle made it her quest to tell a better story, writes Arthur, a story that pointed others to the same “light so lovely” she herself glimpsed in great literature during her childhood. Her books served as icons directing us to a source of truth beyond ourselves. L’Engle challenges us to do the same with our craft. Who are we pointing to? Ourselves? Or our creator?